In a video posted today to NVIDIA's YouTube channel, the chip maker shows off a "Tegra 4 enhanced Zombie Driver," side by side with the same game running on a "non-Tegra 4" device. The difference (as with many Tegra-enhanced games) is night and day. 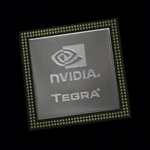 The video puts on full display Tegra's dynamic shadows and lighting, textural enhancements, and overall finesse. Take a look for yourself. As a reminder, NVIDIA's answer to when we'll first start seeing these chips is a rough "Q2," so while the chip's performance looks great, we've got a while to wait yet before seeing these in new phones and tablets. [MWC 2013] Hands-On (Video) With The Sony Xperia Tablet Z: Light, Thin, Waterproof - But Worth $500?